So, how do you find those perfect roads? Some while back I used to write novels in my spare time. But my two cycling guides to Portugal now sell more many copies than my other books! 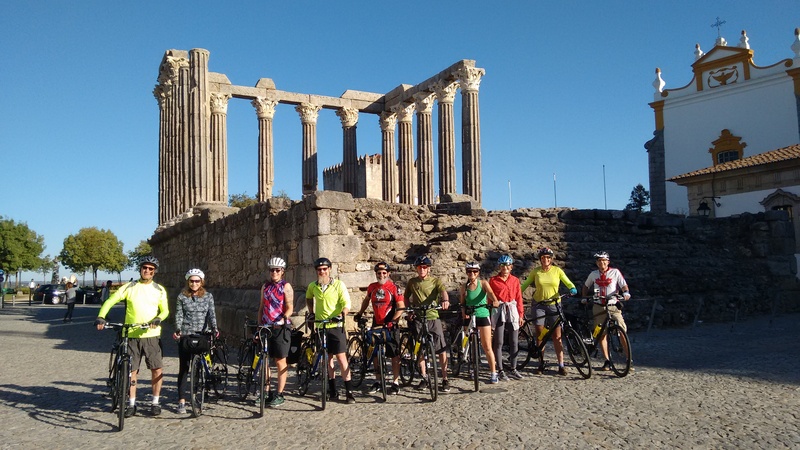 Running Pedal Portugal – both this website and our guided tours – also seems to have almost completely taken over my life these days. But recently I’ve been thinking about doing another guide to routes in Portugal. Before I do, though, I was also wondering if there was a more basic need. Years back, when my wife and I were thinking about our first ever big cycling trip (France, Spain and Portugal by tandem), we bought a Lonely Planet cycling guide to France. We had the original 2001 edition and while we didn’t follow it religiously it was really useful for the planning process and giving us ideas of where to go. So I was thinking whether to try and do something similar for Portugal? There’s already plenty of free information available this website. But one problem with websites is that the more you add, the harder it can be for people to find what they’re actually looking for. Plus books can be produced in a print format as well as an e-version and I certainly still like flicking through a book. Any book would definitely have to include my Top 10 Tips as a starting point. I’m still surprised by the number of people who contact me asking for advice who don’t seem to realise that Portugal is not particularly flat. And that it can get rather hot in the summer months. The big question is what else to include? Much of the book would probably be along the lines of the website – a general introduction, notes on the different regions of Portugal, maybe some highlights – both places to visit and certain roads that you’d never find just from looking at a map. Some advice on practicalities – like the logic (or lack of) behind Portuguese road numbering and ideas on things like where to stay. But is it a guide for roadies, tourers or both? (I don’t think I’m qualified to advise on mountain biking.) Do I include the campsite guide from the website or should that be a separate book? I still don’t think anyone else has got a better guide to campsites in Portugal but I know I probably need to update it and check all the links still work. What about routes? 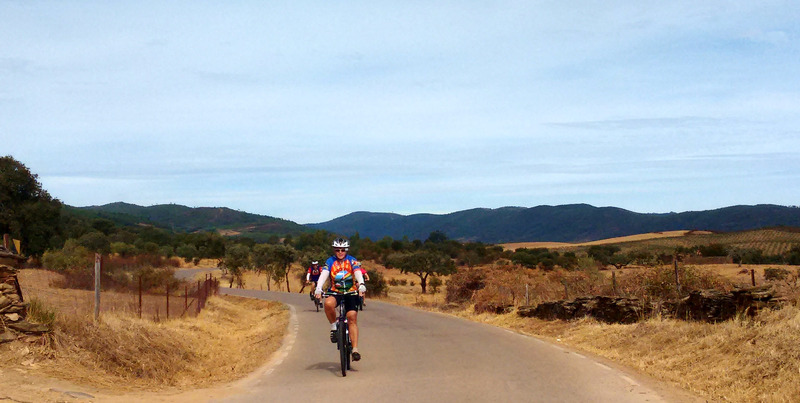 Portugal is a small country but it’s got such potential for cycle touring. We run our guided tours in several regions but, except maybe in the Alentejo, it’s still very rare for us to encounter other riders on some of the little back roads we use. On the other hand, do I really want to share all of my favourite roads by telling the world about them? We found your website very useful Huw, but a book is also great. We bought one for St Malo to Nice before we planed a trip a couple of years ago, and the print version was a handy start – though we ended up doing a diiferent route to Carcasonne. You can only get enough detail on maps by using links to an online site, simply not enough room on an A5 page. So the website is necessary as well. And I’m coming round to ebooks. 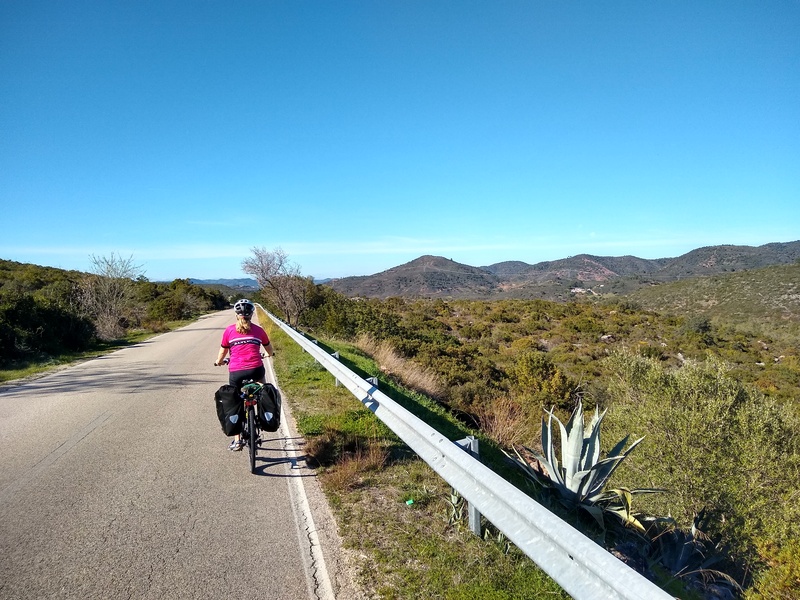 We just did a month cycling the coast from Faro to Spain, and another month beyond – https://cyclefarotosansebastian.wordpress.com/ – I haven’t tided up the blog yet. It would have been very handy to know that the coastal EV1 is complete fiction before we started, and we would have mapped a better route. We also didn’t realise how cold & wet it would be in May/June. Campsites wouldn’t have helped as we stayed in B&Bs. I think people can generally work out their own accommodation. But it’s useful to know what places are worth spending time at, and which to skip. Thanks very much for the informative and helpful response. I know what you mean about ebooks – they’re great when travelling but I still love those paper things you can flick through. Thanks also for the link to your blog – will have a good look at it. I’ve mentioned the EV1 in this site in the past. The fact someone’s put a line on a map somewhere isn’t very useful when planning a trip that involves it! well, i understand your dilemma. i refer to outside magazine as paradise lost magazine. 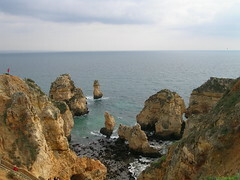 as we prepare for our Portugal journey i wonder the same thing, how much do i blog about it. on the other hand cycling where we live is very helpful to our economy though some would say that our town is too busy. I love Portugal and I love cycling in your country! Is this your site also or a different one? Great idea Huw! Pedal Portugal “The Book”!. Yes, please. 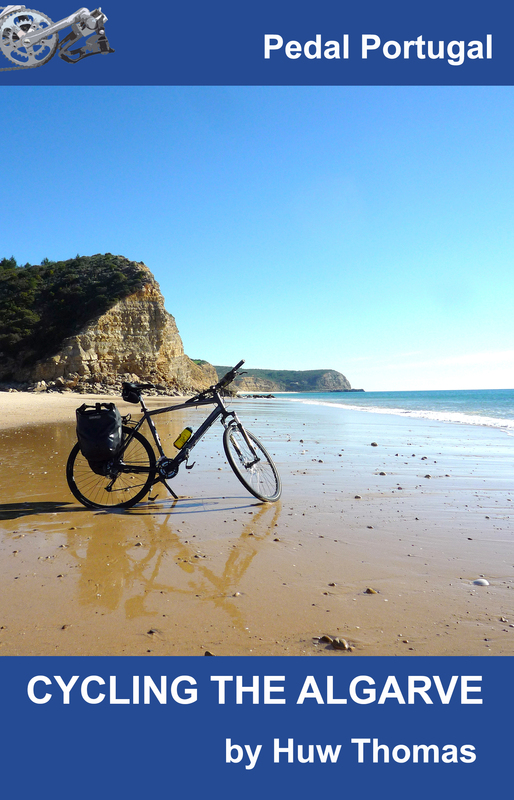 A complete Portugal cycle trip is something I have been pondering on lately. Perhaps a “The Complete Guide to Independent Cyclist’s Guide to Portugal” is something others also want. Mind you some larger tour companies have already discovered and started up their Portugal tours, though they stick to one area only. The Book should be the opposite of such offers- everything the independent cyclist needs regardless of what kind of wheels they are rolling. List of bike shops, etc. You could actually improve on the LP format for Portugal but combine and aggregate some of your routes . 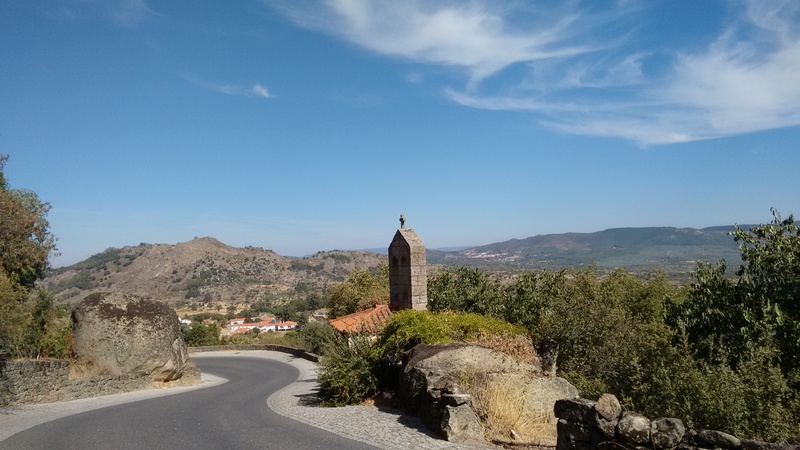 For example a route that skirts the border and then cycles up/down the Douro and then through the center onwards to Alentejo and further down to the Algarve. Thanks for the enthusiasm. Yes, I was thinking of aiming at the independent cyclist. List of bike shops will definitely be an essential.